Two pieces of legislation announced today by San Francisco Mayor Ed Lee could make buying ammunition in the city more difficult. Lee was joined by police Chief Greg Suhr and Supervisor Malia Cohen today to announce the proposals, the first of which would make military-grade ammunition illegal to possess in San Francisco. 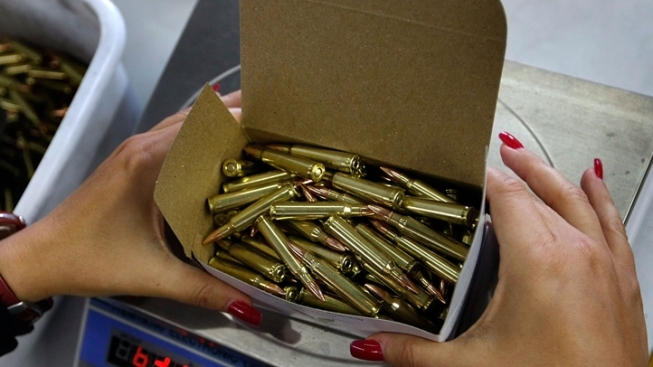 The second proposal would require businesses to automatically notify police when someone buys 500 rounds of ammunition or more in one transaction. Lee said military-grade ammunition such as hollow-point bullets "has no reason to be in our homes and on our streets." Cohen, who said she expects to introduce the proposals at the board's Jan. 15 meeting, said it "is too easy to obtain and possess military-grade ammunition" that is "designed to expand and shred internal organs" of shooting victims. There have been 67 homicides in San Francisco this year compared to 50 at the same point in 2011, but gun violence in the city is down about 4 percent from last year, according to Suhr, who said he hoped the mayor's proposals would further reduce the violence. The chief acknowledged that, as currently proposed, the legislation would allow someone to make multiple purchases that total more than 500 rounds as long as one transaction did not reach that number. "That's a problem," he said. "But there has to be a threshold and we're setting it at 500." Lee earlier this week joined more than 750 mayors from across the country in sending a letter to President Barack Obama and Congress calling for comprehensive gun control reform. More information about the Mayors Against Illegal Guns coalition can be found at www.mayorsagainstillegalguns.com.